Artwork Archive is an all-in-one solution for artists. Not only can you keep track of your art inventory online, the important details attached to each piece, and the current locations of your work, but you can manage your whole art business—clients, shows, schedules, sales, reports, and online art portfolio—all from this one, intuitive tool. And, the latest feature to take center stage at Artwork Archive takes this all-in-one solution to even higher heights! 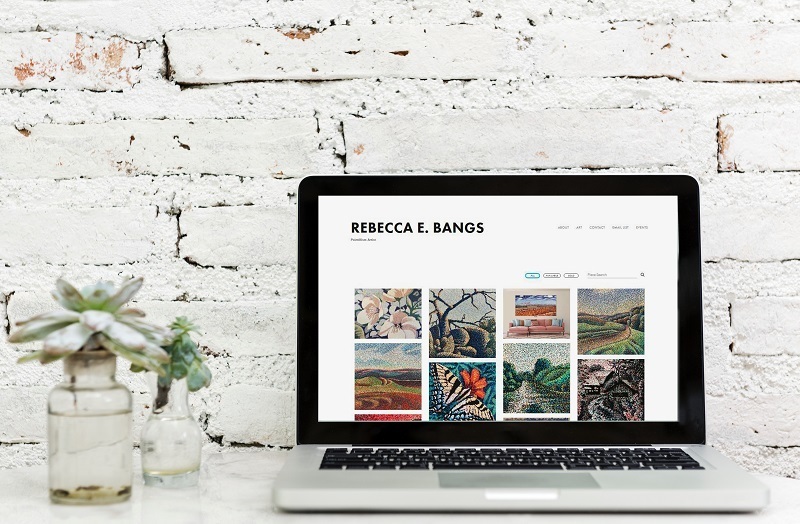 Web integrations help you effortlessly sync the online portfolio of your artwork (and all of the juicy details stored on Artwork Archive) to your own artist website including Squarespace, Wordpress, Wix and more. With the Public Page on Artwork Archive, artists can choose to publish certain works from their inventory in a polished, professional-looking portfolio online. And, it’s not just the works themselves on your Public Page! 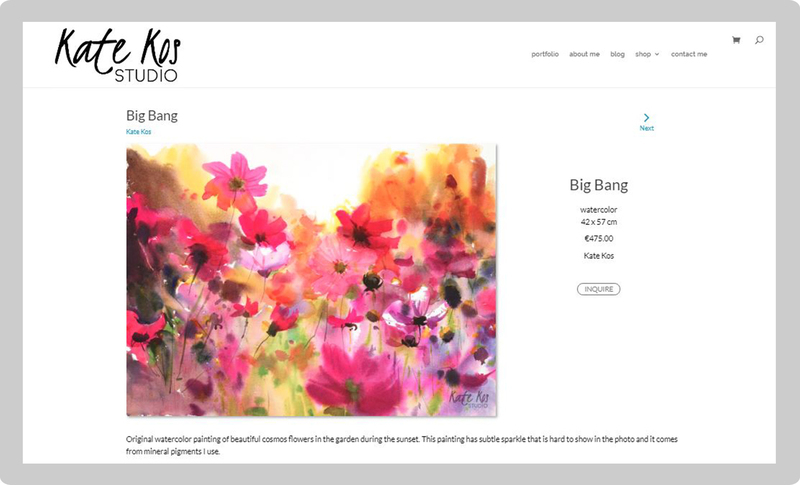 Details already saved in your inventory like title, medium, dimensions, price, current location, artist notes, and more are automatically displayed with each piece—because these are the details art collectors will want to know before buying your work. 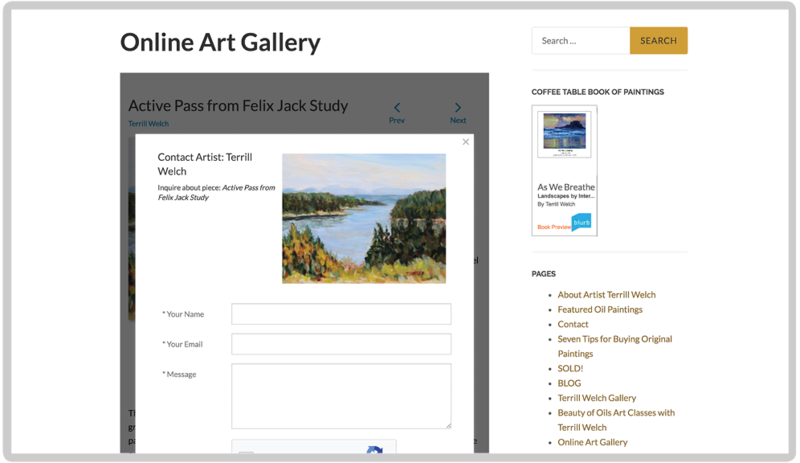 Now with Web Integrations, this online gallery (along with all those important details) can be embedded into any page on your own artist website. How many hours have you spent recording details about your art inventory, then going back into a whole different website and entering the same exact information to promote your work? When what you really want to be doing is creating in the studio. Now you can keep your art business organized and update your website simultaneously. All you have to do is follow these easy steps to embed your Artwork Archive portfolio on your website. It takes less than five minutes! With a click of a button, you can sync this online gallery with your running inventory of works. Information flows between the two, so the works shown on your website (plus information about the work, if the work is sold, etc.) always stay up-to-date and ready to impress buyers when you organize your inventory on Artwork Archive. Plus, you are in control of when you publish each artwork. If you choose to unpublish that work, unlike on most web-hosting platforms, that information isn’t lost—it remains in your inventory for your records. No more disorganization. No more double data entry. And, no big coding projects. We understand that how you present your work online is a huge aspect of running your art business and growing your art career. That’s why we made this web integration feature a simple and brandless gallery. This allows you to show off what really matters—your artwork. No worrying about coding a gallery for yourself or dealing with a bunch of in-your-face branding from Artwork Archive. With its clean design, the embedded gallery fits seamlessly into most web pages so your art stands out, not us. An example of the individual piece page of Kate Kos’ portfolio integrated on her website. When you integrate your Artwork Archive gallery with your website, no more time is wasted switching back and forth between sites. You get to manage new work straight from Artwork Archive, while potential collectors can view your available inventory and collections without ever needing to leave your website. And the best part? Interested collectors can contact you directly through the gallery to inquire about specific pieces, or they can simply click “purchase” right then and there to be directed to your favorite shopping cart platform. When we said we wanted to be an all-in-one solution for artists, we meant it! With the web integration feature, your artwork is instantly published to your website—easy, stress-free, with the click of a button. Think of your website as the front store window of works for your customers and Artwork Archive as the back-office inventory system where you manage the details, bookkeeping, and administrative tasks. 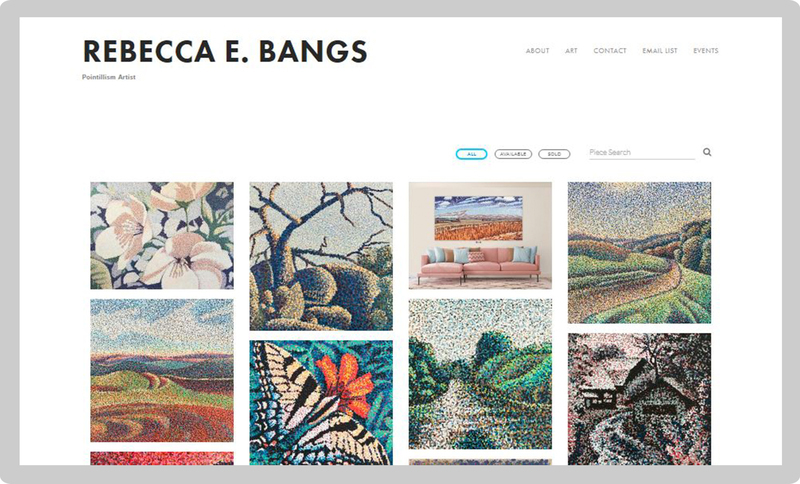 By embedding your Artwork Archive gallery onto your artist website, you’ll be able to present your work in the easiest, most professional way possible, while all at once keeping your art business organized and thriving. And all that time you get back? Now you can spend it in the studio doing what you love. It’s running an art business, simplified. Make your life easier with the all-in-one business solution for artists. Sign up for Artwork Archive today. Miss any of our business of art articles from 2015? We’ve rounded up our top posts ranging from fantastic art marketing tips to must-read gallery advice.